The Postcards from Misty Harbor Inn series (Guideposts Books) introduces readers to Caroline, Gracie and Sam as they gather for a vacation where they spent the summers as children, and follows their adventures as they fulfill their mother's dream of opening a bed and breakfast. As the sisters heal from their mother's passing, they bond in ways they never imagined and discover evidence of God's hand in the unlikeliest of circumstances. 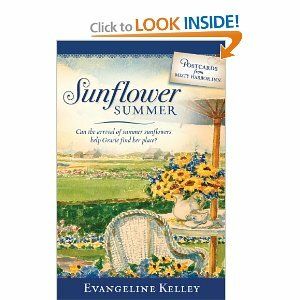 A team of four authors come together under the pen name of Evangeline Kelley to bring the unique personalities of each sister to vivid life and welcome audiences to the charming and historic island of Nantucket, complete with cobblestone streets, quaint shops, ferries, sandy beaches and salty air. Three sisters, a charming inn, hints of mystery and romance, and a gorgeous seaside setting. Summer reading at its finest! When Caroline Marris joins her sisters, Gracie Gold and Sam Carter for a Nantucket Island getaway, she has no idea how it will change her life. 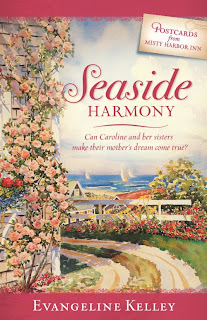 The sisters stumble upon Misty Harbor Inn, the place their late mother loved so much, and Caroline talks her sisters into buying the beautiful but dilapidated inn. But can free-spirited Caroline stay focused enough to make opening the inn a reality? Hand-drawn old postcards draw the sisters into the mystery of Hannah Montague, the young widow of the original owner. Can the sisters uncover the fate of this woman who disappeared in 1880? As Caroline and her sisters work together to make their mom's dream a reality, they bond in ways they never expected. My Thoughts: I am always amazed when four authors can team up together to write a novel. They each add an element to the story that I imagine others aren't as strong it. The team work flows nicely in this book. The characters were aged 52-61, so a bit older in the sense of having been there, done that in life. They are more mature and dealing with the issue of losing their mother. The book has a charm that is easily seen in the mind's eye. Just enough mystery to keep you reading. Misty Harbor Inn officially opens, and Gracie Gold, the middle Marris sister, wrestles with an overwhelming decision. As the sisters learn the day-to-day workings of running an inn, Gracie counsels its first guests, newlyweds whose honeymoon seems to be ending before it begins. Meanwhile, Sam's discovery of a clue in a secret room sheds unflattering light on Hannah Montague, who vanished from the house more than one hundred years ago. And as Gracie and Caroline welcome guests to the inn, they are delighted to see how God uses it --- and them --- to deepen relationships and transform lives. My Thoughts: No need to wait for the 2nd book in the series as they both came out together! 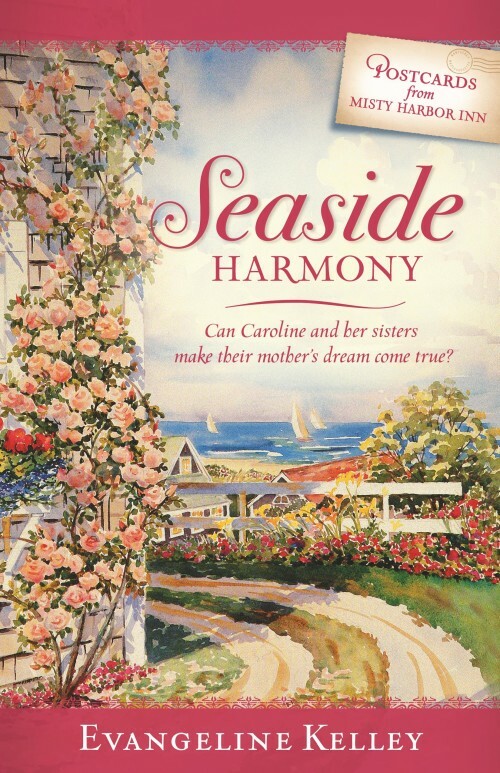 You will want to read the first one, Seaside Harmony first to see what the sisters have been through to get to this point. I enjoyed watching the sisters grow in relationship with each other as they sought to continue a dream for their mother. I think the generation just above me would really enjoy this book as it will be similar to the season of life. I about 10-20 years younger than the characters so I am sure some things get lost on me. The authors invite readers to join them for a Facebook chat on May 9 at 8:00 PM EDT. The online event will be hosted on the Litfuse Facebook page.